This USB box works like a charm, which is why we’ve called this rising USB packaging star that name! 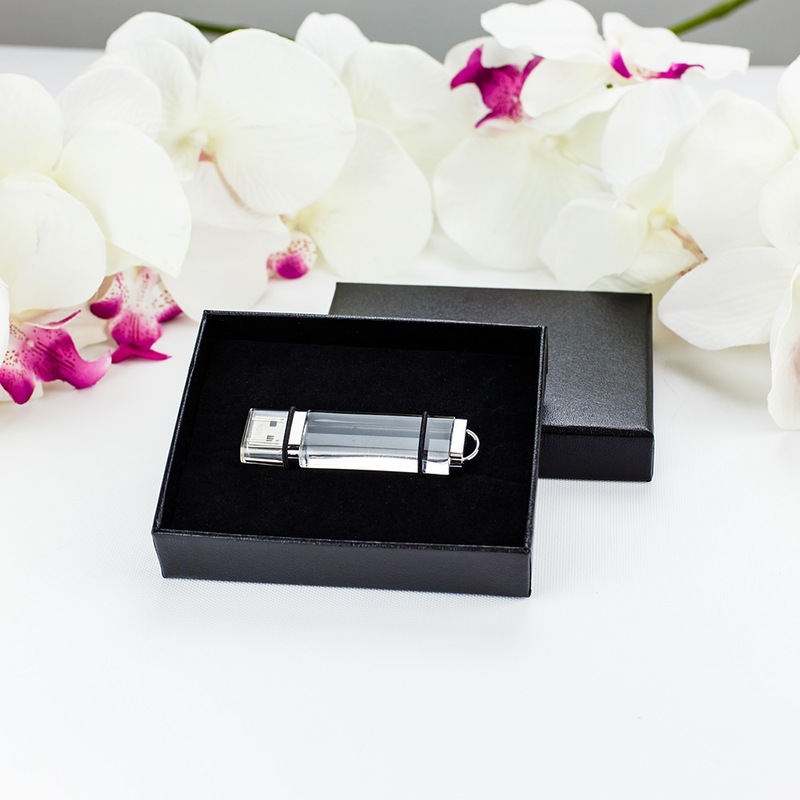 Appropriate for almost any occasion and sure to please even the pickiest client, the Charm offers photographers excellent modern class along with easy data storage and delivery. In suave black, this box holds one accompanying USB drive (not included). 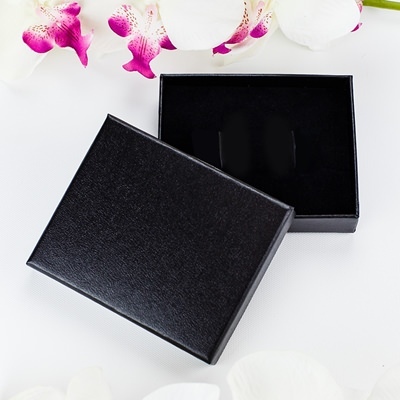 Give your clients the gift of sweet, charming elegance with this Charm USB box. 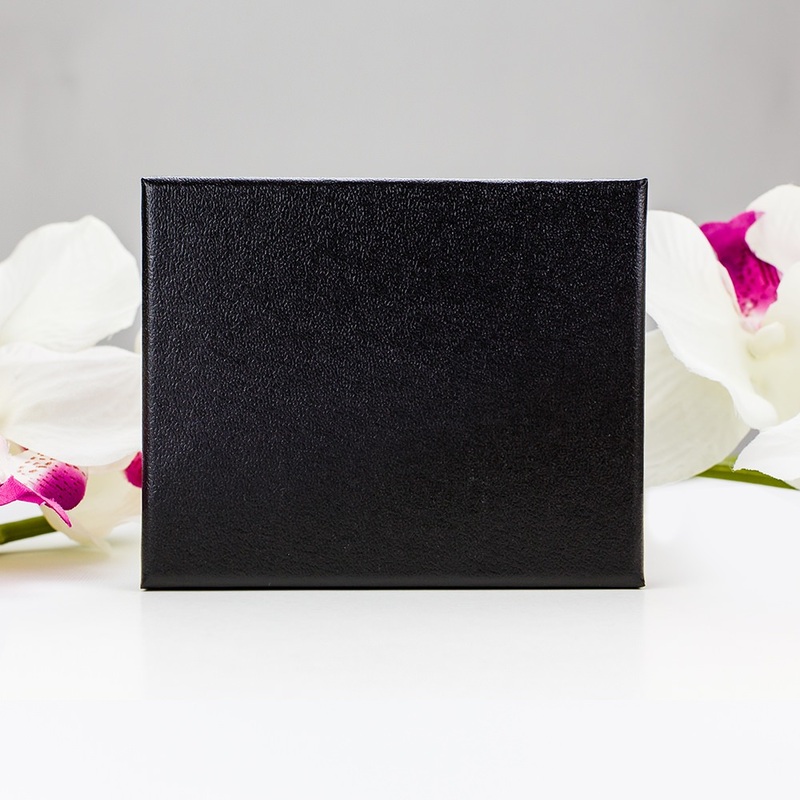 The black cardboard exterior offers both a classic and modern visual while vamping up the ritzy ante with the velvet interior, perfect for cushioning an accompanying USB drive (not included). Two elastic bands firmly hold the drive in place, ensuring the safety of your client’s memories.